This model is built to scale and includes a lot of detail in the front control panel as well as the rear plug in and power panels. The model includes the ability to animate the individual band level and other controls. The model is realistic in appearance and ready for your scene. 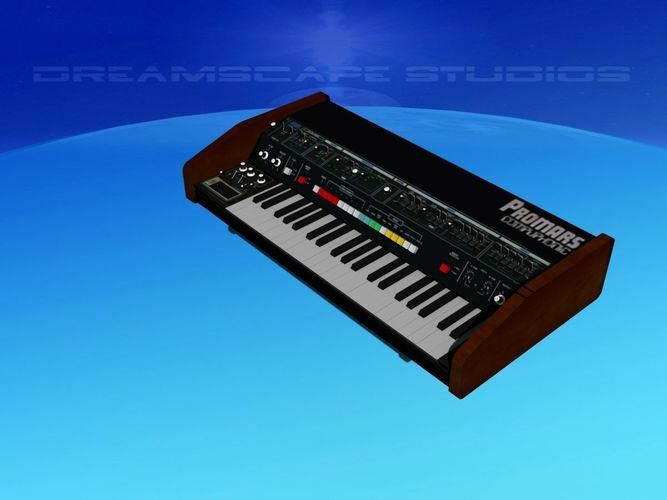 The promars compuphonic had 10 preset sounds and 10 user programmable patches. The preset sounds include Bas, Strings, Clavi, Piano, Voice, Trombone, Sax, Trumpet, Synth 1 and Synth II. A standard and well laid out set of controls and sliders gave the musician with the control he or she needs to create really great sounds.